Have you visited our FAQ page? We tailored this page to answer common questions, but would be glad to assist you further. Complete the form below to receive a response within 3 business days. To better help you, please select a topic that best fits why you are contacting us. Contact your local retailer for availability. Our shoes are sized according to European standards see Sizing Conversion Chart for details. We guarantee our product from manufacturers' defects within a reasonable amount of time and wear. If you believe there is a defect with the materials or workmanship, please contact the dealer where you purchased your product for assistance. Please note: Dansko cannot assist with requests on purchases made through unauthorized dealers or third-party auction sites. To inquire about the status of your return, please complete the form below. Please include your Return Authorization Number (RMA#) and tracking number in the spaces provided. When your order ships, you will receive an e-mail with a FedEx tracking number to track the status of your order via FedEx.com. For additional questions about your order, fill out the form below. 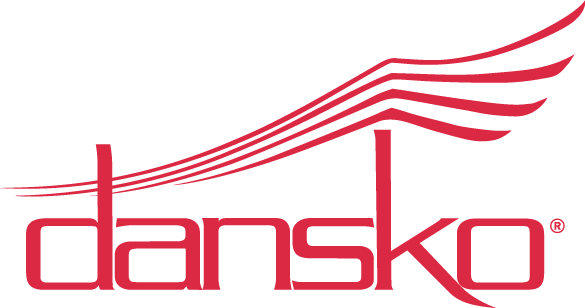 If you are interested in becoming an international distributor for Dansko footwear, please fill out the following form. All items are required. Tell us your story about your experience with us. Complete the form you may just find your story appearing on this site! State/Province Alabama Alaska Arizona Arkansas California Colorado Connecticut Delaware District of Columbia Florida Georgia Hawaii Idaho Illinois Indiana Iowa Kansas Kentucky Louisiana Maine Maryland Massachusetts Michigan Minnesota Mississippi Missouri Montana Nebraska Nevada New Hampshire New Jersey New Mexico New York North Carolina North Dakota Ohio Oklahoma Oregon Pennsylvania Rhode Island South Carolina South Dakota Tennessee Texas Utah Vermont Virginia Washington West Virginia Wisconsin Wyoming Alberta British Columbia Manitoba New Brunswick Newfoundland and Labrador Northwest Territories Nova Scotia Nunavut Ontario Prince Edward Island Quebec Saskatchewan Yukon Territory * Wait..."
I certify that I am age 19 or older. WE'RE SORRY, BUT ONLY PERSONS 19 OR OVER MAY SUBMIT CONTENT TO DANSKO. IF YOU ARE UNDER THE AGE 19, WE'RE SORRY BUT WE CANNOT REVIEW OR USE YOUR CONTENT. In consideration for the opportunity to have my name, photograph, video recording, voice, persona, image, and likeness, and Submitted Content, if any, (as defined below) (all of which are together referred to as "My Content") potentially used as described herein and for other good and valuable consideration, the receipt and sufficiency of which is acknowledged, and intending to be legally bound, I consent to the use of My Content by Dansko, LLC and its affiliates, and their respective agents and employees (collectively, "Dansko") for unlimited use for unlimited time in all media now or hereafter known, including but not limited to in print, in any tangible, electronic or other form (such as online and on the Internet), intact or in part, composite or distorted in character or form, without restriction as to changes or transformations in conjunction with my own or a fictitious name, or reproduction thereof in color or otherwise, for illustration, art, promotion, advertising, trade, marketing or any other purpose or use whatsoever, and I relinquish any right I may have to examine or approve such use. I grant these rights whether or not My Content is used in any manner by Dansko and I understand the decision to use My Content is at Dansko's sole discretion. For purposes of this Release, "Submitted Content" includes but is not limited to any photographs, audio and/or video recordings, images, creative works, reviews, writings, opinions, quotes attributable to me or others, information, or data. I agree that any expression in which My Content is used by Dansko is solely and exclusively owned by Dansko and Dansko may register any copyrights or other intellectual property rights therein in any expression containing My Content. To the extent I have any copyrights or other rights, including but not limited to any right of publicity, in My Content, I hereby assign such rights to Dansko, and waive all rights therein or related thereto, including any right to royalties or other compensation.